First settled in 1714 with a land grant from Lord Baltimore, Potomac, MD now boasts a population of roughly 45,000 residents. Potomac is one of the top-educated and most affluent towns in the entire country, and is home to many highly regarded schools. Many Potomac residents commute to Washington, DC, and its proximity to our nation’s capital makes Potomac a very desirable place for families to live. With our headquarters in Lanham, MD, we at Thompson Creek Window Company® know Potomac and the diverse homes and buildings that make up the unique Potomac neighborhoods. For 38 years, Potomac homeowners have trusted Thompson Creek® for replacement windows and doors that improve their homes’ comfort level, aesthetic, and energy-efficiency. Mother Nature is especially unpredictable in the mid-Atlantic region, and Potomac homeowners aren’t surprised when it snows in April or when they can wear shorts and t-shirts in December. Regardless of the weather though, you always want to be comfortable in your home. That’s why Thompson Creek® replacement windows are designed to keep cool air in during the warm months and heat in during the cooler months. They can also withstand winds of up to 146 miles per hour and surpass 2018’s ENERGY STAR® standards, helping to keep utility bills low and comfort levels high. Furthermore, we custom design and build every Thompson Creek® replacement window in our Maryland factory. Since our windows are designed by factory representatives to fit your Potomac home’s exact specifications, installation is a breeze. Choose from a wide selection of window styles and options that can match any home design or aesthetic preference. Just like our windows, Thompson Creek® replacement doors are custom built and you can choose the options to suit your style. Further, just like our windows, Thompson Creek® doors exceed 2018’s ENERGY STAR® criteria. Potomac area homeowners turn to us because Thompson Creek® offers the most durable and efficient replacement doors on the market. 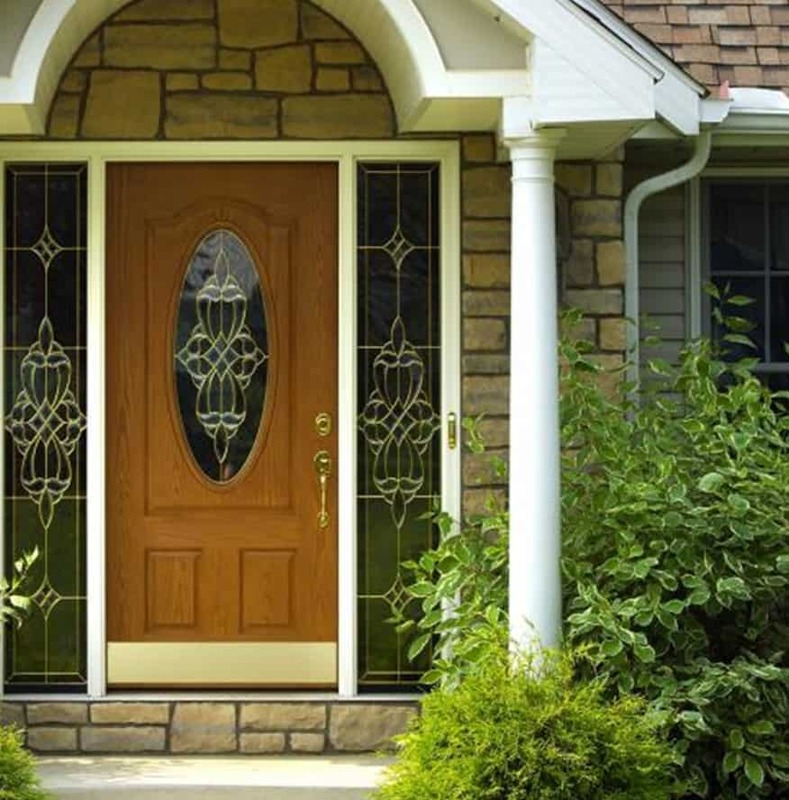 Our wide variety of door patterns, colors, panels, and styles allow Potomac homeowners the chance to find the door that perfectly matches their home’s style or their personal aesthetic. Curb appeal is what sells a home. When a roof accounts for 40% of your homes exterior it’s where your eyes inevitably land. Consider this, when you remodel your home with a new roof it has the same return on investment as a remodeled kitchen or bathroom. So why not check out Thompson Creek’s myriad of shingle colors that will drastically improve your home’s curb appeal. Contact us today for a free analysis and quote on your Potomac roofing replacement. Ever since we opened our doors in 1980, Thompson Creek Window Company® has been committed to reliable customer service and exceptional products. That’s why we offer a No-Hassle Warranty and Buyer Protection Guarantee. If you’re considering starting your next home improvement project in Potomac, give us a call. Learn more about our beautiful, energy-efficient products and get a free, no-obligation quote today.